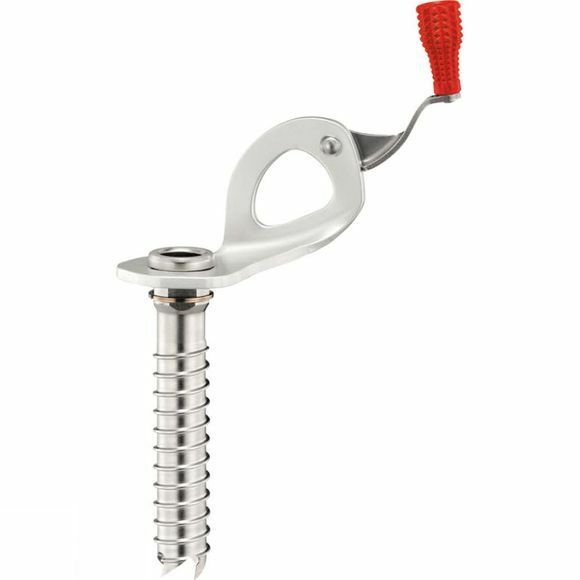 A high-performance ice screw for strategic placements where ease of placement is key. The lighter steel tube of the Laser Speed Ice Screw 10cm improves durability while the integrated folding crank gives an optimised lever, making it easier and faster to screw in. and the shape of the drill is optimised to facilitate bite into the ice and its patented sharpening reserve makes sharpening easier. Colour-coding helps you identify the screw length.